The project #2 was presented to the visitors of the exhibition which took place at the Watari Museum. Anyone who came to the museum could take part in the project which was achieved thorough communication between the “Mother” who lives in countryside and the “Child” who came to live in the city. People who takes part in this project automatically becomes HYŌMA's mother. 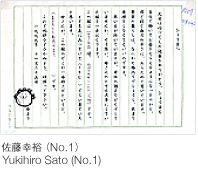 They sends their memorable clothes to HYŌMA with their special messaged letter. 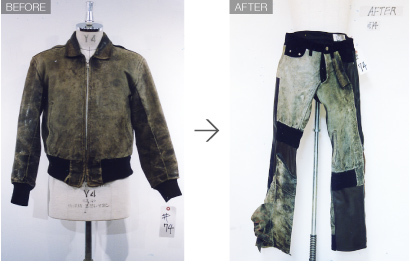 HYŌMA recycles their clothes using his special "NUKEGARA Parts" and sends them back to the mothers. 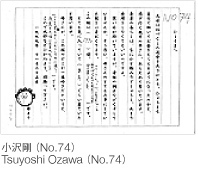 Through their messaged letters and memorable clothes, Nakagawa feels and guesses the clients’ characters, personalities and feelings. He thinks them over and decides a new design for each person. Therefore each clothes is designed and recycled carefully in order to fit with each personality.